Een tas om zowel je helm als je boots in te dragen. De Snowtech Whistler tas is speciaal gemaakt voor SkatePro. Ontworpen voor een paar skischoenen en een helm, plus een zak voor accessoires en een schouderriem voor comfort. It's smartly designed roomy and comfortable bag. The inner lining make it easy to clean the bag. The boots are separated by detachable divider. The isolated section for helmet is big enough to hold additional items. The ventilation windows are a plus. Very roomy, lots of space for boots and nice divider down the middle. 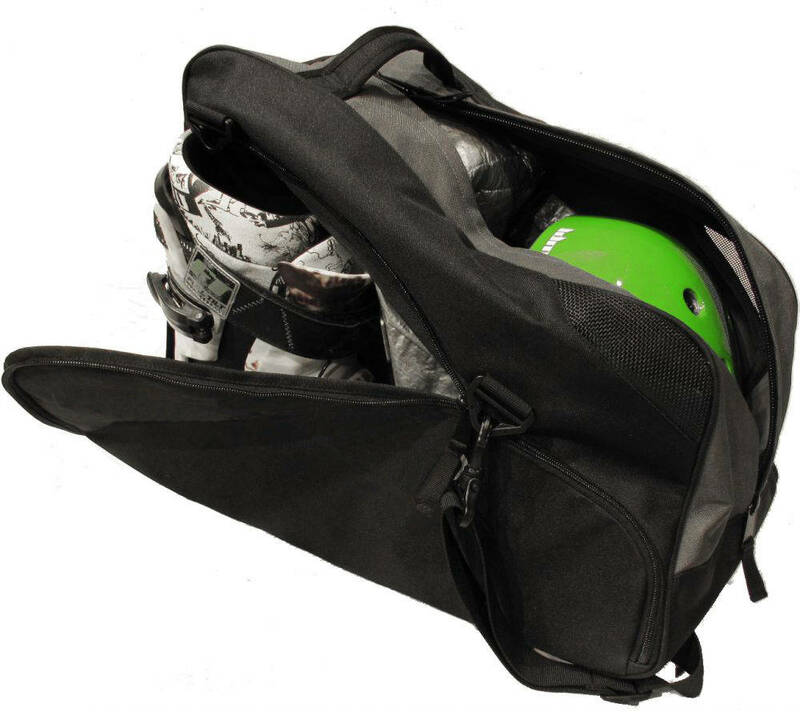 Great bag, good space for boots, helmet, gloves etc. Good sized bag, ordered another one for my wife who has been scattering her gear around the trunk for quite some time now. sehr schönes Geschenk zu den Boots dazu. Top ! Eine tolle Erfindung. Alles in einer Tasche.